We welcome all Algerians to Malaysia. Our role is to keep your stay in Malaysia pleasant by providing the necessary information and support. 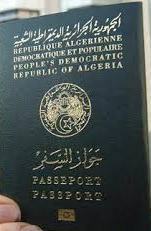 We thereby encourage all Algerians here to register with us. Whether you are here on the long term or just for a short visit, we welcome you to the Embassy. Our consular staff will do their best to assist you with your queries on Malaysia.